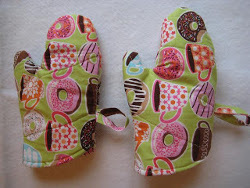 What is the worst thing about quilting? C’mon, everyone has that one step in the process that they just hate. And if you’re like us here at FaveQuilts, it’s pretty straightforward: cutting. It’s such a tedious process that requires so much focus; unlike piecing, which you can do in a rhythm while listening to music and getting into the zone, cutting requires careful attention to detail—both because you want your squares or strips or triangles to be the right size and because you don’t want to lose a finger. Well, there’s a solution: pre-cuts. Jelly rolls, charm packs, fat quarters … pre-cut fabrics either completely avoid or greatly reduce the amount of time you need to spend snipping and slicing on your cutting mat. Since we love pre-cuts so much, we decided to make a whole book out of them! 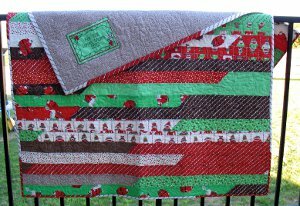 In How to Make a Jelly Roll Quilt: 9 Jelly Roll Quilt Patterns, you will find some of our favorite jelly roll quilt tutorials from the site. 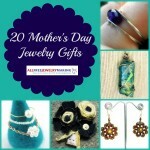 These patterns range in size, shape, and purpose, but trust us, you’ll love them all equally. Some quilts are made for snuggling, and some quilts are made for celebrating! 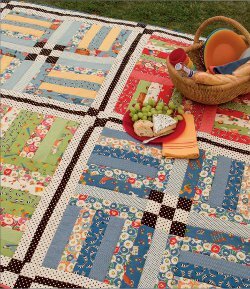 Jelly roll quilt patterns like the Rail Fence Picnic Quilt are perfect for picnics, roadtrips, and family reunions. 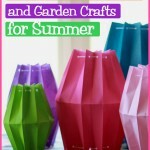 Everybody loves being outside in the summer, but for those of us who are in charge of doing the family laundry, there’s a lot to be said for a protective barrier between our butts and the grass. 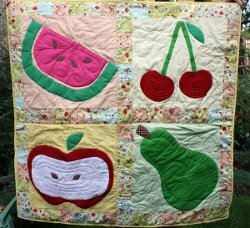 Keep your pants stain-free and your food ant-protected with one of these gorgeous summer quilts! Baby quilt patterns are consistently among the most popular tutorials that we offer on FaveQuilts, and it’s not hard to see why. Learning how to make a baby quilt in the span of one or two days makes for a serious increase in quilt production—and guarantees that not only will you never show up to a baby shower empty-handed, but your gift will always put all the others to shame. The easy baby quilts that we chose for this book were picked especially because of how easy and fast they are. 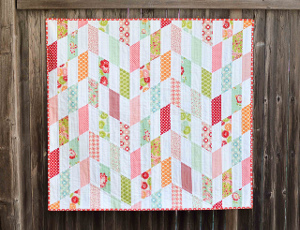 Patterns like the Striped Chevrons Baby Quilt are guaranteed to be fun and stress-free. Still, even bigger projects like throw quilts shouldn’t take you forever, which is why we’ve included awesome patterns like the Four Hour Lasagna Quilt, which you can make in time for dinner. So what are you waiting for? 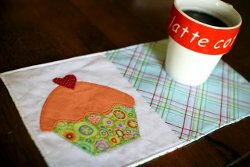 Download your free copy of How to Make a Jelly Roll Quilt: 9 Jelly Roll Quilt Patterns today, and get quilting! What’s your favorite style of pre-cut? If there’s any way to make a baby quilt quicker and easier than it already is, the staff at That Patchwork Place have found it! In Jelly Babies: Adorable Quilts from 2-1/2″ Strips, That Patchwork Place brings you 14 baby quilt patterns to use with bundles of precut 2-1/2″ fabric strips, otherwise known as jelly rolls. When you don’t have to choose all the fabrics or cut all the pieces for a quilt, it goes together much faster, so you can have baby wrapped in a cuddly new quilt in no time! While all of the baby quilts in Jelly Babies are designed to make use of time-saving jelly rolls, each pattern also includes instructions for cutting strips from your stash as well, so you have the ultimate flexibility when sewing these quilts patterns. Choose a jelly roll of coordinated fabric strips from your favorite new line, or get creative and match up fabrics from your stash to make a one-of-a-kind quilt. The choice is yours with these versatile baby quilt patterns. 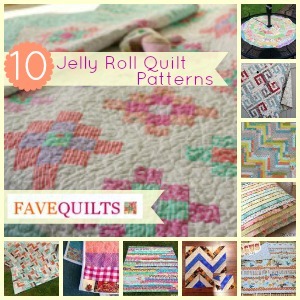 FaveQuilts.com is giving away one copy of Jelly Babies: Adorable Quilts from 2-1/2″ Strips to one lucky winner. It could be you! 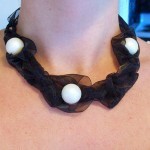 Contest ends January 29, 2012. You can enter once daily, so return often to improve your chances of winning!